Many people use a treadmill to burn calories and help with weight loss. But how accurate is your method of estimating the treadmill calories burned? You may want to check the calories it says you are burning against calories burned exercising calculator to see if it is giving you a reasonable number. Learn when you can trust the numbers and how to improve the estimate. 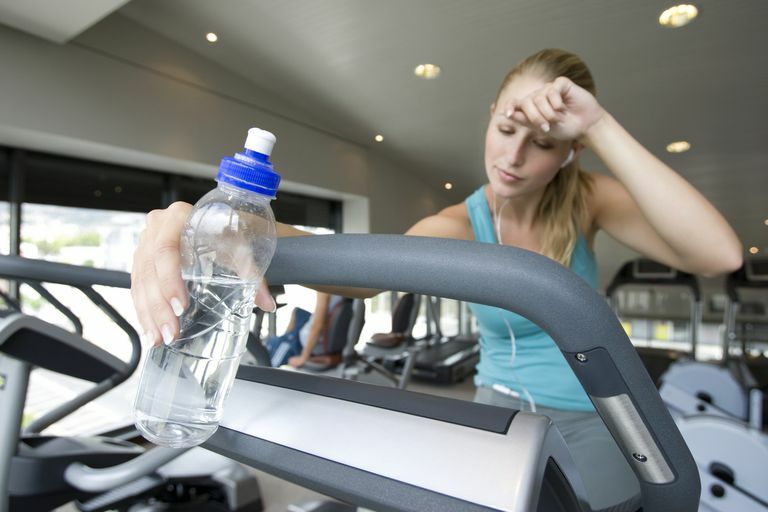 What Determines Treadmill Calories Burned? Weight: Your muscles must use calories to move your mass across a mile or kilometer. This is the most important factor. The more weight, the more calories burned per mile or kilometer. Stride length: A shorter stride means picking up and putting down your feet more times per mile or kilometer, which burns more calories. Exercise intensity: You burn more calories if your heart and lungs are working harder. This can be measured by your heart rate or pulse. Efficiency: The smoother your motion and the more trained you are in it, the fewer calories you will burn over a given distance. Some speeds are more natural and efficient for your body, and this will vary by the individual. At higher speeds, running can be more naturally efficient than attempting to walk fast or using a racewalking technique. Speed: Covering the same distance in a shorter amount of time, you not only have burned more calories during that time due to intensity, but you will also be burning calories just breathing and existing in the time you saved. The net effect is more calories burned. Incline: Walking or running uphill burns more calories than going downhill or on a level surface. You will burn an extra 3 to 5 calories per minute depending on the incline. Motorized treadmills: The moving belt and smooth surface reduce your calories burned per mile compared with non-treadmill walking or running. The difference in calorie burn can be made up by having at least a 1 percent incline on the treadmill. Holding onto the handrails: You will burn fewer calories if you hold onto the rails while walking or running on the treadmill. The number of calories you burn per minute is also based on those factors, with speed and stride length becoming even more important, as the distance you cover in that amount of time is one of the biggest factors. Many treadmills have a calorie display. You can improve its accuracy by truthfully entering your weight (including your clothing and shoes). Remember, the more weight, the more calories burned. If it doesn't ask for weight, the number will be very inaccurate. If the treadmill asks only for weight, it estimates your calorie burn based on the speed, distance, and incline it is measuring, and your entered weight. It is not factoring in your stride length or exercise intensity. Using a heart rate monitor or pulse monitor connected to the treadmill will factor exercise intensity into the calorie estimate. Along with accurate weight and speed, this should produce the best estimate of treadmill calories burned. Some treadmills sync to wireless heart rate monitors. Others have pulse monitors built into grips on the machine or clips for your finger or ear to read your pulse. The result may or may not be more accurate than just wearing a heart rate monitor that estimates your calories burned by your age, weight, and heart rate. But it should be more accurate than just basing it on weight, speed, and distance. It the treadmill doesn't accurately measure its speed and distance covered in your workout, then the calorie estimate will not be accurate. If you didn't enter an accurate weight, your calorie estimate will be off. If the treadmill doesn't estimate calories itself, then the method you use will have its own accuracy problems. For example, can you trust the calorie figure from your fitness band? Your fitness band may or may not have a heart rate reading and so it is basing estimates mostly on your weight and number of strides per minute. It won't know whether you are using incline on the treadmill, either. It's best to take any number as an estimate and not base your diet on it alone. You may not have earned that Snickers bar after all.